My son is currently in the major teething stage! Drool, whining, restless sleep...I feel so bad for him and the pain he has to go through! 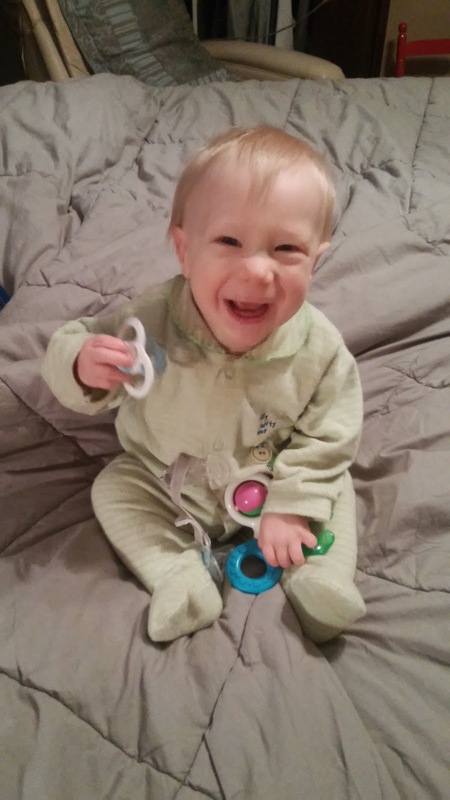 There isn't much we can do as parents to help a teething baby but we want to alleviate their pain as much as we can! I do this by offering my son MAM Teethers! I especially like the ones we can stick in the freezer so that it is nice and soothing on his gums! Designed for teething babies age 2+ months, MAM Bite & Relax Phase One features a flattened mouthpiece that provides teething relief directly at the front gums, right where baby’s first teeth appear. Its functional design features four textured surfaces and allows baby’s lips to easily close while the teether is in use. The familiar shape of its curved outer shield helps baby keep the teether in place - just like a pacifier. 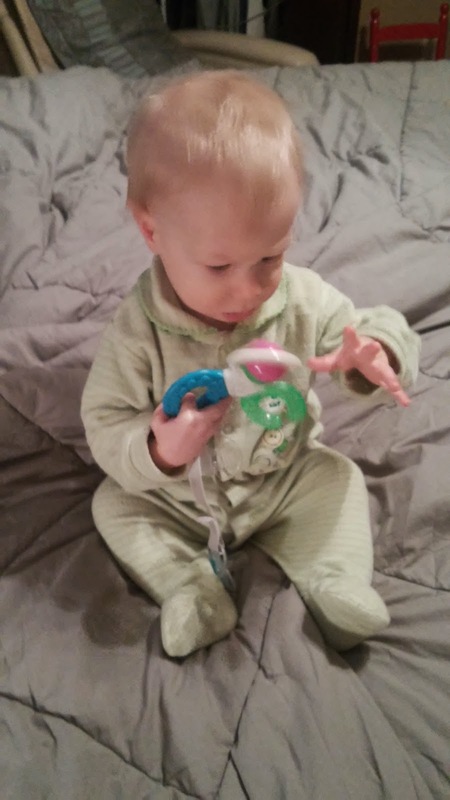 An easy-to-use clip safely attaches to baby’s clothes to keep it within reach. Part toy, part teether, the innovative MAM Bite and Play provides relief and entertainment for teething babies. Multiple surfaces, including a u-shaped cooling ring, provide varied relief options for baby’s sore gums. This unique teether also helps support baby’s development; a rattle component helps sharpen baby’s hearing and multiple textured surfaces help develop baby’s sense of touch. 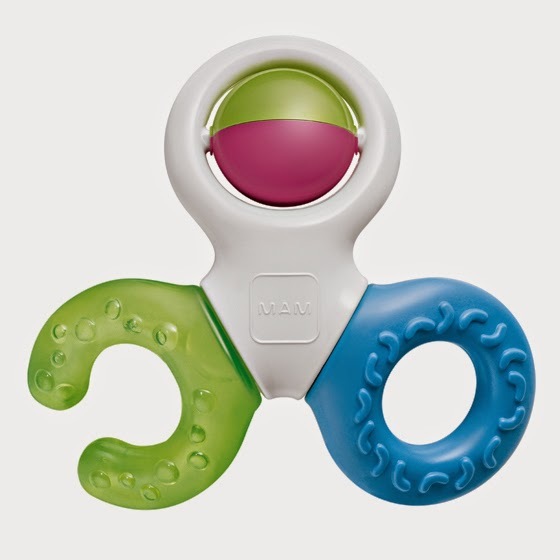 The MAM Bite and Play also has a unique curved design, making it easy for baby to pick up, play with and chew. Recommended for babies age 5+ months. The MAM Bite & Brush Teether compliments daily oral care by gently cleaning baby’s first teeth. Sensitive gums are instantly soothed b y the gentle massaging action provided by the teether’s unique soft bristles. 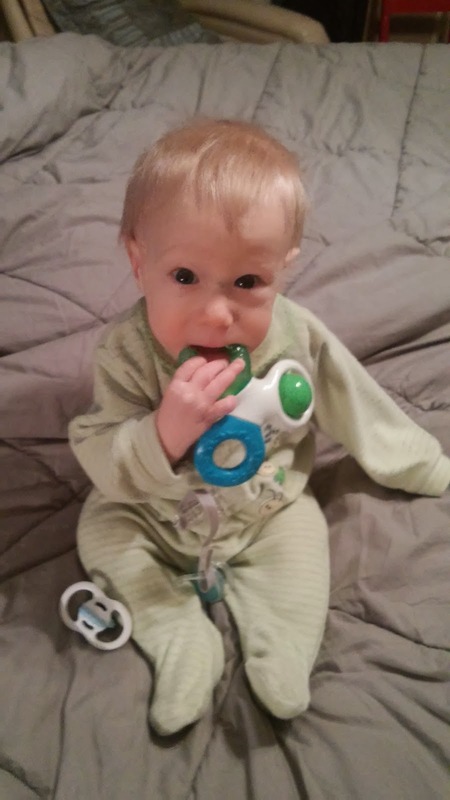 Its extra lightweight design and innovative ring shape make this teether easy for baby to hold. Recommended for babies age 3+ months. And it turns out it isn't just me loving the MAM's Teethers! 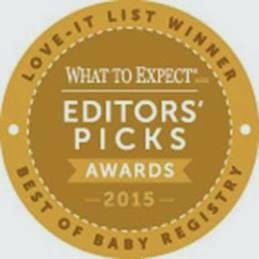 Recently, the MAM’s Bite & Brush Teether won the 2015 What To Expect “Editors’ Picks” Award in What to Expect.com’s Second Annual “Moms Love-It” Awards recognizing excellence in baby registry products! It is a favorite for moms and babies! My son is also starting to drink from a cup and he starting learning with the Learn to Drink Cup with Hard Spout! Designed for babies ready to learn how to drink from a regular cup, this MAM Learn to Drink Cup features a hard spout to help prepare baby for the next phase of development. Available in a 9 ounce size and recommended for babies age 8+ months. Suggested retail price: $6.99. You can purchase all MAM products at your local retailer, like Babies R Us. MAM is generously offering (1) $25 MAM gift package to a lucky winner!